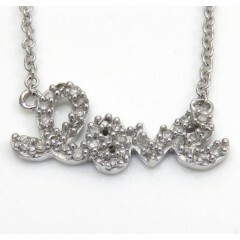 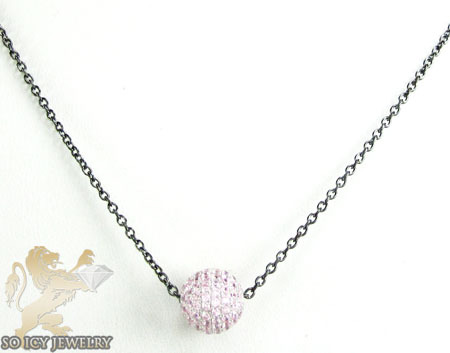 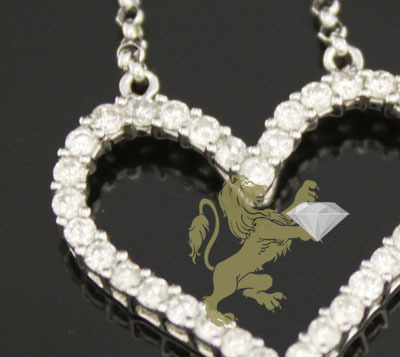 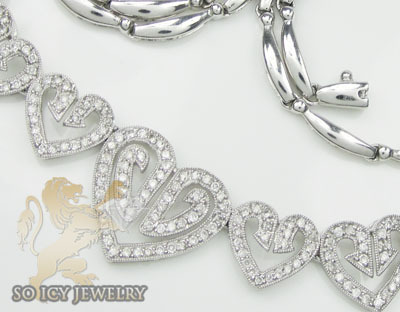 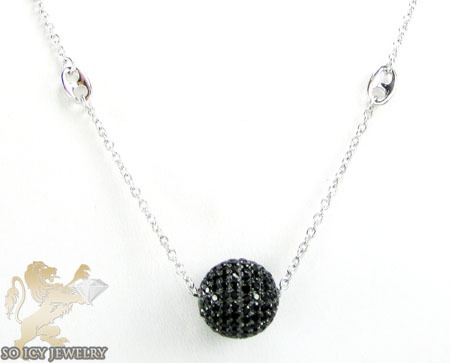 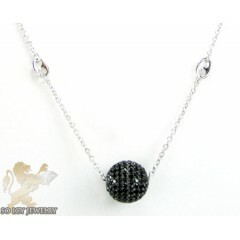 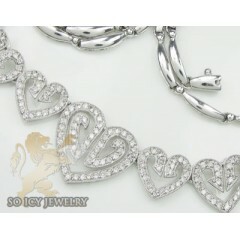 Our collection of ladies diamond necklaces feature tennis, heart, flower, rosary and eternity link designs and much more. 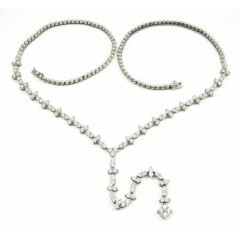 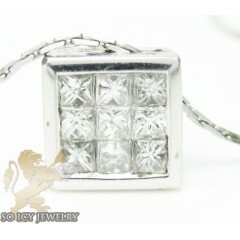 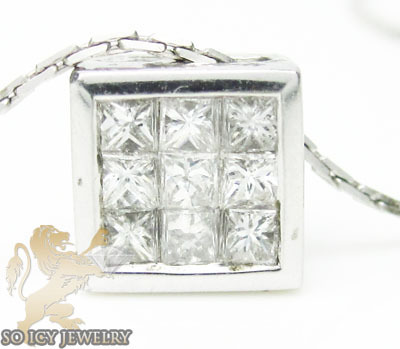 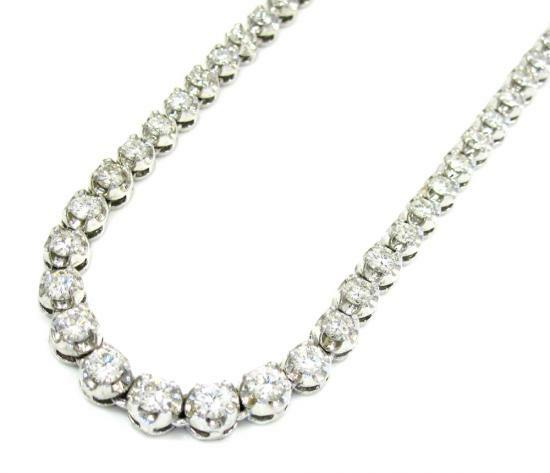 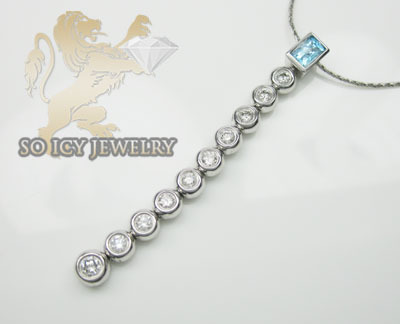 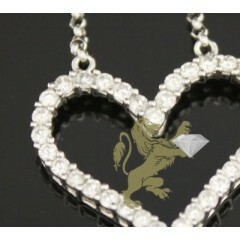 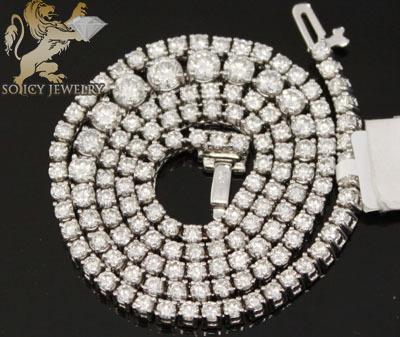 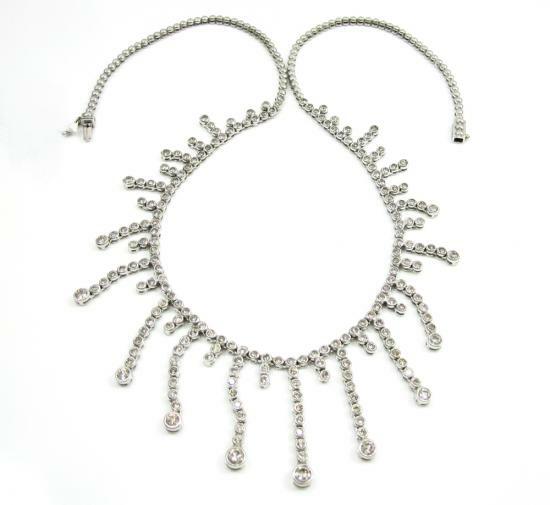 Our diamond necklaces are mostly set with round or princess cut diamonds. 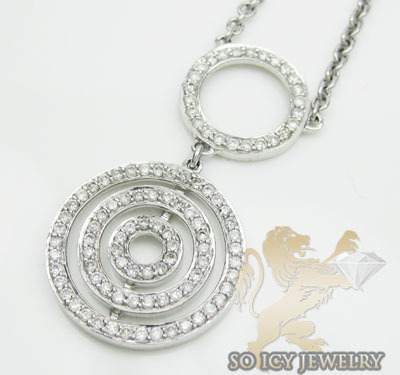 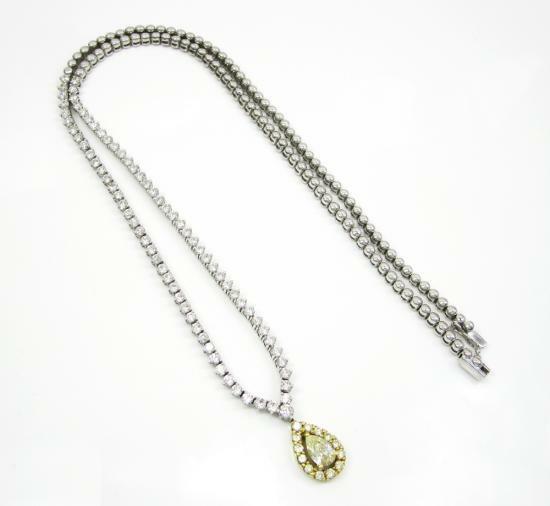 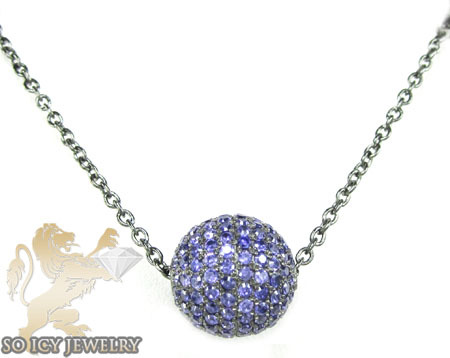 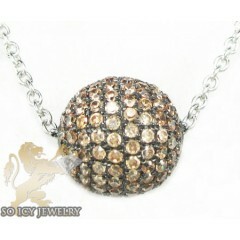 Some of our diamonds necklaces feature a diamond pendant attached . 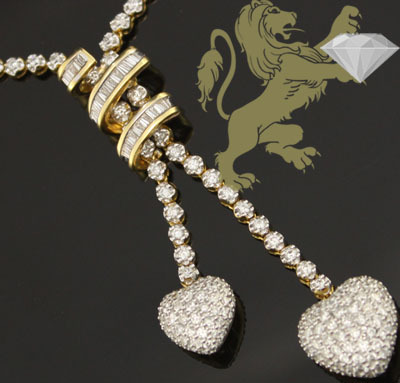 Mostly made with natural 10k, 14k or 18 gold metals. 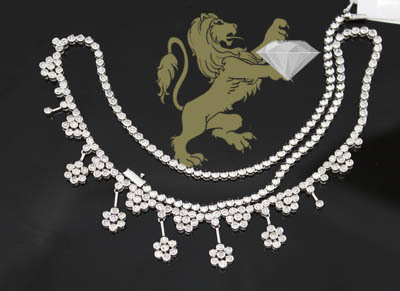 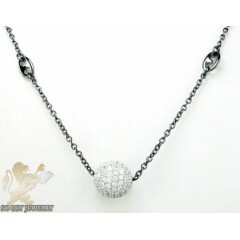 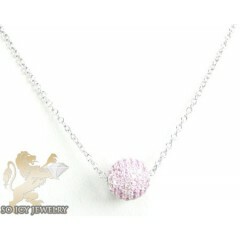 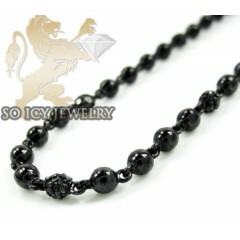 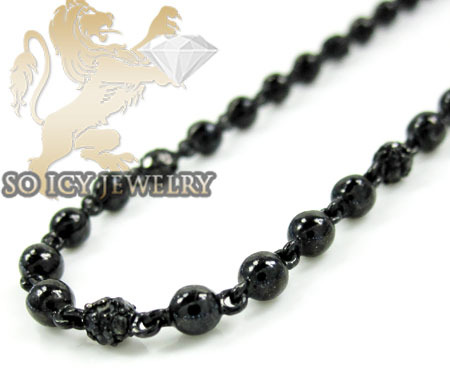 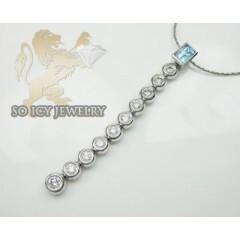 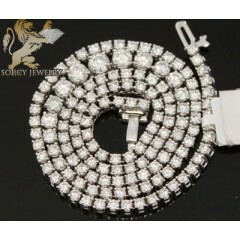 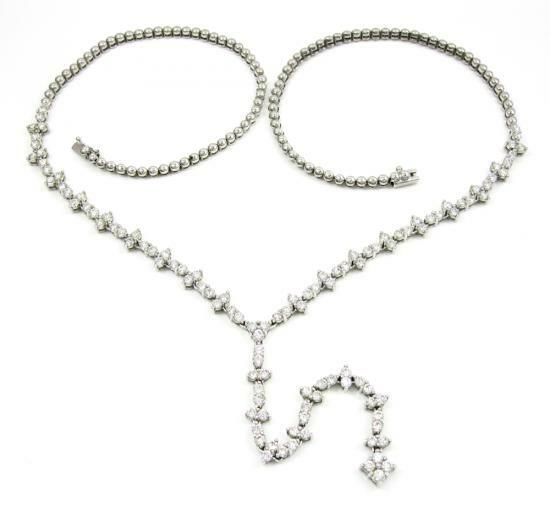 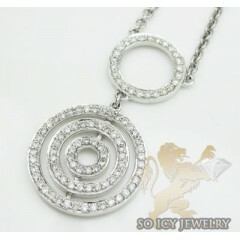 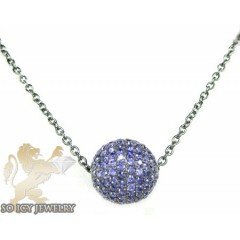 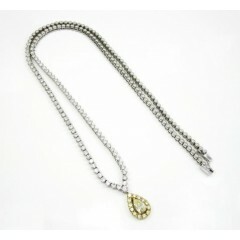 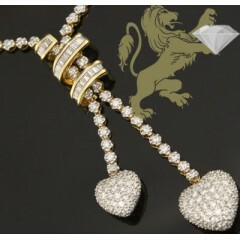 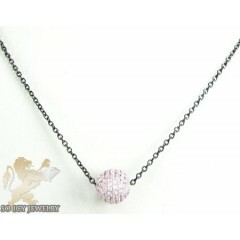 23 Ladies Diamond Necklaces Found. 0.50ct 14k White Gold "diamond & Blue Gemstone Journey Necklace"
0.85ct 14k White Gold "diamond Double Eternity Pendant & Necklace"
0.70ct 18k White Gold Diamond "heart Pendant & Necklace"
1.50ct 14k White Gold Round "diamond Heart Necklace"
3.00ct 14k White Gold Diamond "cluster Flower Necklace"
3.25ct 18k Yellow Gold Diamond "double Heart Necklace"